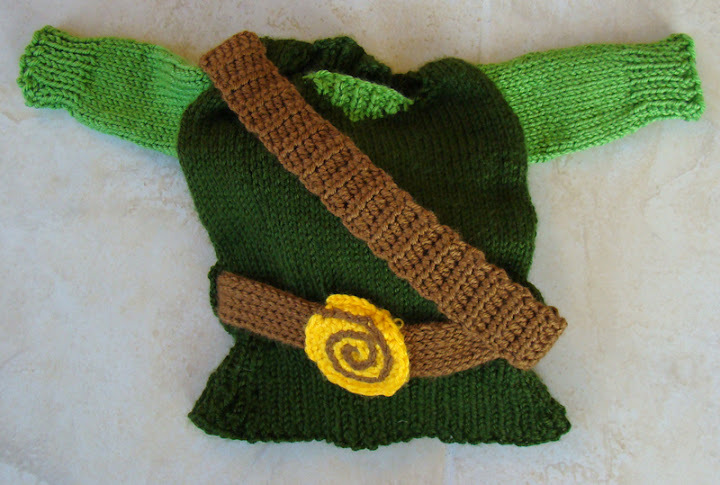 Craftster Community > KNITTING > Knitting: Completed Projects > Baby Link: Now with Baby Photos! Baby Link: Now with Baby Photos! The pattern is now available for download on my website here: http://www.happyseamstress.com/knitting/baby-link-outfit-free-pattern. Happy knitting! 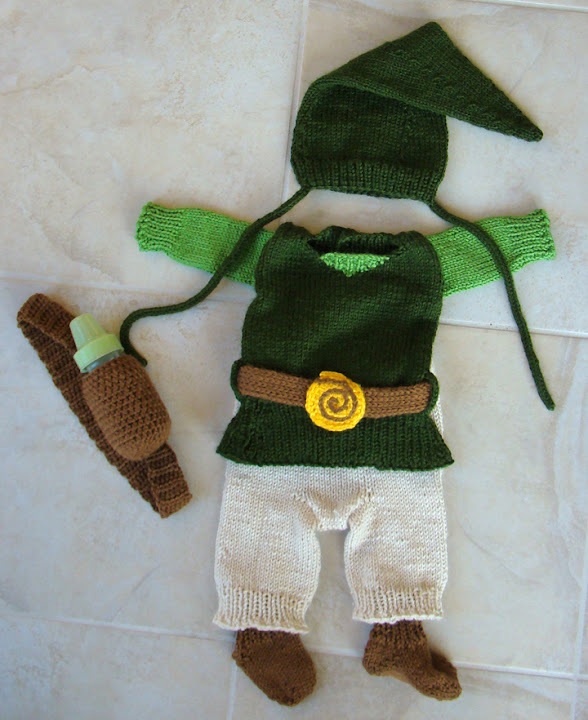 A friend of mine & her husband are both huge fans of Zelda (the Nintendo video game series), so for their upcoming baby shower for their first baby I knit this baby-sized Link costume. 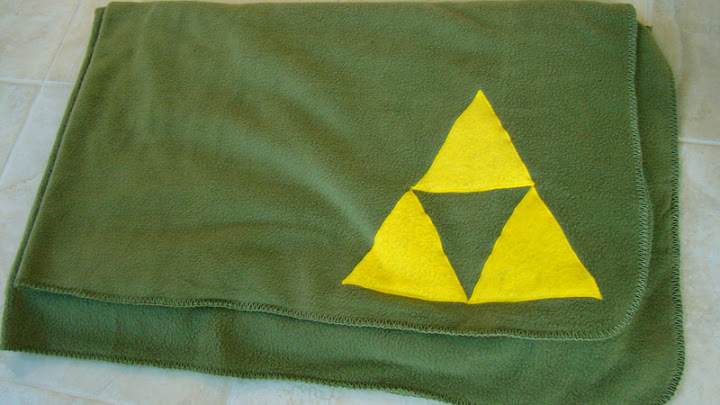 I made a baby bottle holder to look like Link's quiver of arrows. Thanks a bunch for looking, and let me know what you think! That...is so... ADORABLE!!! I love it!!! I would be super pumped to get that as a baby gift!!! That is freakin' awesome! I wish I had friends like you. That is the best baby present ever. this is amazing!!! 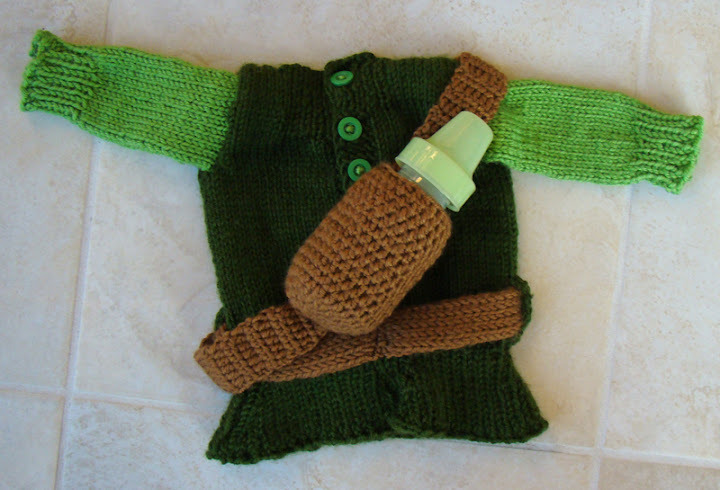 if i ever saw a baby in this i would freak out, it is soo cute! oh my gosh that is so awesome! i wish i would of that of something that clever when my son was that small!! !